Therapeutic Spa Services are now defined under the nursing home law (Chapter 400) as “bathing, nail and hair care services and other similar services related to personal hygiene.” The new law will likely trigger the development of regulations that will affect how such services can be provided to residents of nursing homes and related facilities. 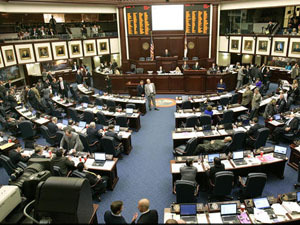 The Florida Health Care Clinic Law (400.990) has been changed to allow exempt “big businesses” from the licensure requirements. Those include—entities that have $250 Million or more in annual sales (if one of the owners is a Florida licensed healthcare professional who is responsible for compliance) and those which employ 50 or more Florida licensed M.D.s or D.O.s who provide services under single tax ID number. These changes may help physician integration moves but also benefit large corporate healthcare providers. The state anti kickback law (483.245) was expanded to clarify that it is illegal for a clinical lab to provide (in any way at all) personnel to perform “any functions or duties” in a doctor’s office unless the lab and the doctor’s office are owned by the same legal entity. Clinical labs may not, for instance, lease space in doctor’s offices to collect specimens. Perhaps the most hotly regulated aspect of healthcare lately has been in the area of controlled substance prescription and dispensing. A new law expands the exemption from the controlled substance prescribing standards to certain board eligible doctors (not just board certified ones), to rheumatologists and to doctors who prescribe medically necessary controlled substances to a patient during an inpatient hospital stay. As such, the exemption from the controlled substance prescribing standards—board eligible or certified anesthesiologists, physiatrists, rheumatologists, neurologists or medical specialist who have completed a fellowship in pain medicine; board certified doctors with privileges as a hospital or ASC; doctors who prescribe medical necessary controlled substances to patients during inpatient stays at hospitals. This entry was posted in Florida Statutes, Healthcare Law, Healthcare Reform, Legislative Updates, Medical Practices, Physician Issues and tagged 400.990, Florida Health Care Clinic Law, Florida Legislature, nursing home law, physician integration. Bookmark the permalink.